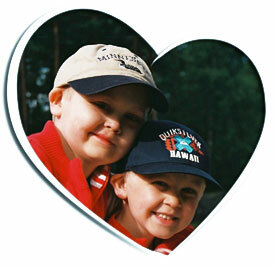 Our memories of Samuel and information about Inflammatory Myofibroblastic Tumour. This website is dedicated to our beloved Samuel, a wonderful son, a fantastic older brother and a great junior master to our dog. 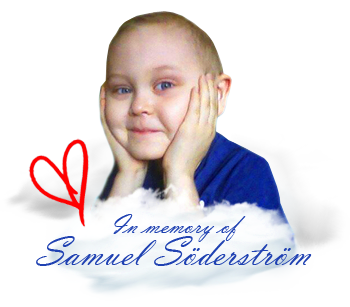 Samuel departed from this world on December 20, 2009, only seven years old. The goal with this website is to offer a better picture of who Samuel was as a person and to provide information about the principle aims of the foundation, which has been established in his honour. Samuel suffered from a very unusual tumour disease called Inflammatory Myofibroblastic Tumour (IMT). Within Swedish and international child cancer care today, the largest grants are offered to research in the most common cancer conditions. In a greater perspective this is of course very good, but those children with unusual tumours (like in the case of Samuel) unfortunately continue to suffer. There is very little research being undertaken in the field of IMT. We have established this foundation in honour of the memory of Samuel, and to encourage researchers to study this unusual disease in more detail. The legal name of this foundation is “Samuel Söderströms Stiftelse“ ( Samuel Söderström Foundation). Samuel is now an angel, watching over the ones he has left behind. Although he is no longer with us in a physical sense, his soul is present in everything we do. Please, enter the site to read more about Samuel and the foundation. We miss Samuel enormously and we will love him eternally!